The Market at the Museum is the most unique location for a farmer's market anywhere. 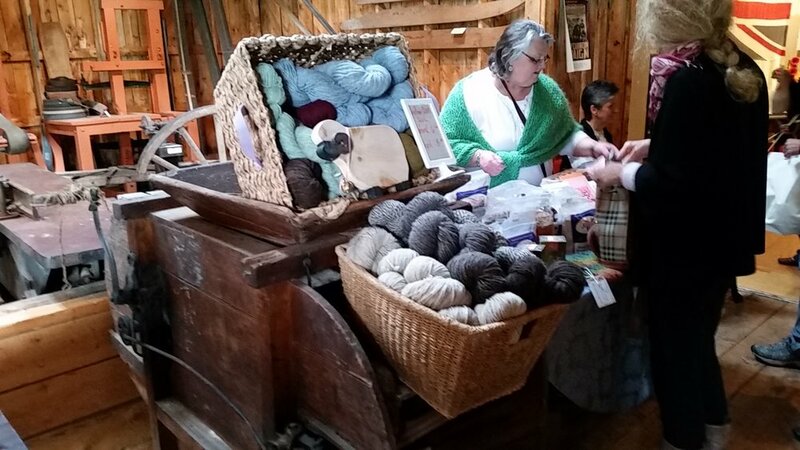 The market is held in the Exhibition Hall at the Albert County Museum surrounded by the Museum's extensive collection of antique farm implements, pioneer tools, and early home furnishings and appliances. It's bringing the past and the present together so people can see the tools that were once used to make the products they're buying at the market today. The Farmers and Crafters Market is a joint venture between the Albert County Museum and Foods of the Fundy Valley, a local non-profit organization whose mandate is to encourage local food awareness through education and promotion. Foods of the Fundy Valley (FFV) have a number of educational events planned throughout the market season for both adults and children, such as planting herbs, and growing the Three Sisters.